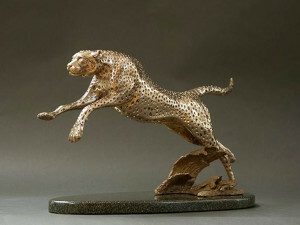 One of Douglas Van Howd’s newest sculptures, “Race for Survival” depicts the world’s fastest land mammal: the cheetah. These African animals can reach speeds up to 75 m.p.h. 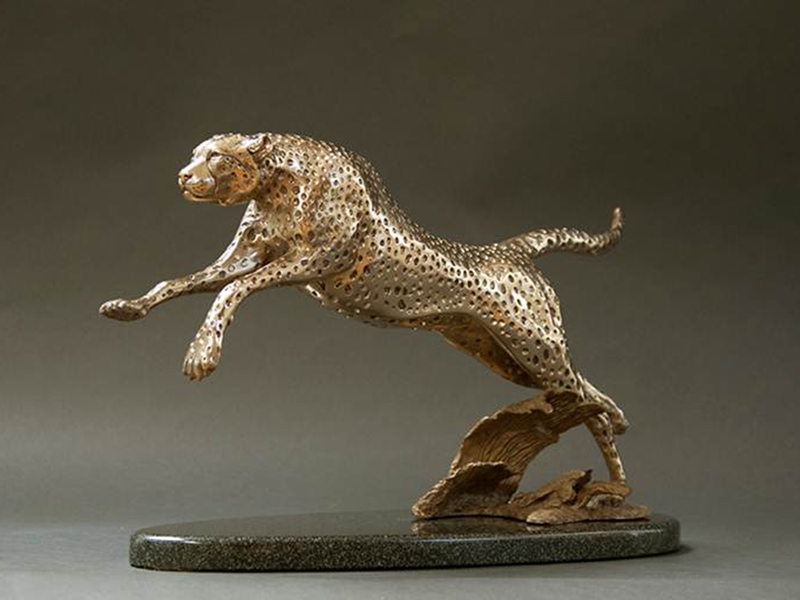 This high-polished bronze cheetah sculpture is stunning atop its dark granite base. Also available in .999 fine silver, edition of 24. Price: Please Inquire – price fluctuates with silver market value.